Nancy Wake was a spy for the Allies in France during World War II. 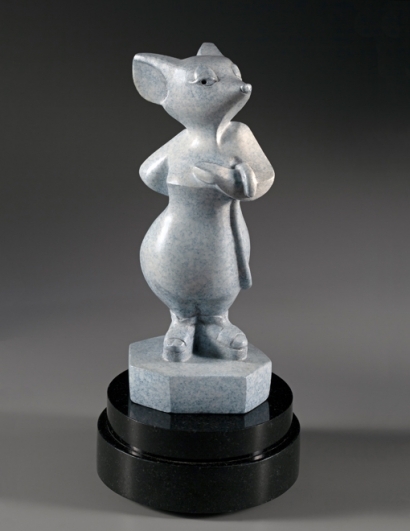 As an homage to her fantastic courage, I first made a stone sculpture of “Codename White Mouse, Espadrilles”. I was deeply impressed by her heroic story and felt that one sculpture was not enough. I had a mold made from the original stone sculpture to tell her story over and over in bronze. Nancy Wake’s heroism continues to inspire me. Perhaps I will return to her story to carve another homage to her courage and accomplishments. She was a most remarkable person!